Sorry I just missed you Phil. (CT/MN-033) You were very light here in New Mexico but I think we could have made it work. Also heard K3TCU calling you but you QSY’d to SSB. No copy then because of a Net here in the States. Maybe next summit. Sorry Tim condx were well down with me to USA today compared to Friday - no stations outside of EU were worked on either summit, despite making over 50 QSOs. The two hills were lower and not as much in the clear as the Friday ones, so that will not have helped. 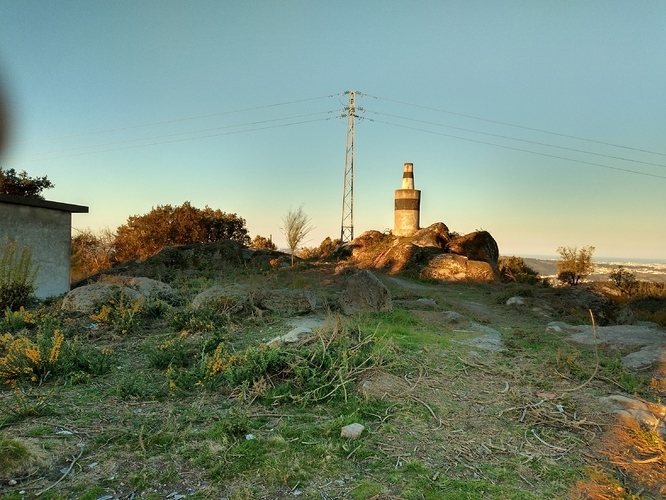 Doing one summit tomorrow morning I hope, nearer to Porto, but much too early for USA on 20m, and on 40m too far I would say for QRP. 30m may be possible. Yesterday was a mixture of culture and SOTA, with a visit around the Palace of the Dukes of Breganza in Guimaraes, then two activations within a few miles of that town. Penha Park was busy (MN-033) and it would have been better with less people around had we gone there on a weekday. MN-047 was quieter with just a few made scooterists and car drivers, anxious to reach the top in a record time I think! Two good activations though. 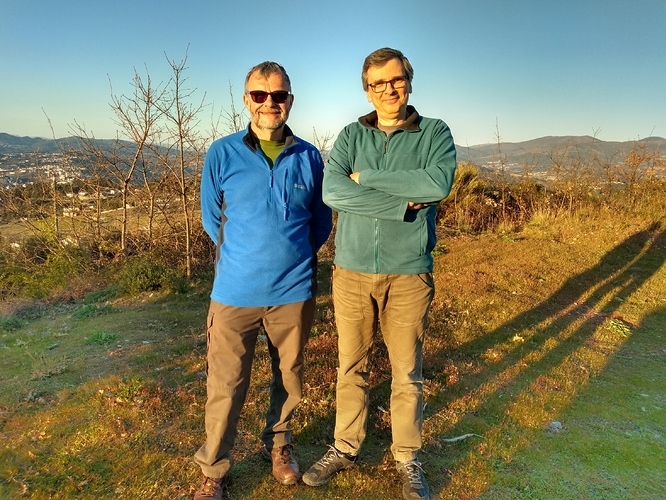 This morning I went out of the hotel at 6.30am to reach Valalonga and its summit, DL-003. A half mile walk along a rough knoll full of commercial radio masts took me near to the final mast and I set up on scrubland to make 21 QSOs on 40m and 30m and just one on 20m CW, who was Jan OK2PDT. A few UK stations were worked and the log is in. We go on the Douro River boat trip today with a visit to a Port Winery with samples. Tomorrow I will activate a few summits later in the day - well out of town (I hope to include DL-001 X 10 points). The last activation weather permitting will be early again on Wednesday morning. Just to conform that I have been listening for you when I’m not at work. Have failed to hear you so far, but will keep trying. Keep listening Don. Last summit will be in the morning 7.15 - 8.00 am approx. timeframe. CT/DL-012. One point only but SOTA Complete for me. Too tired to put today’s logs in, they will have to wait. There’s a possibility of an S2S with Mike 2E0YYY who is planning to be out at the same time as you and now I have the antenna up again here, I’ll be taking a listen for you when you are on 7-SSB as well. Update Bill F/G4WSB/P is out and about as well. 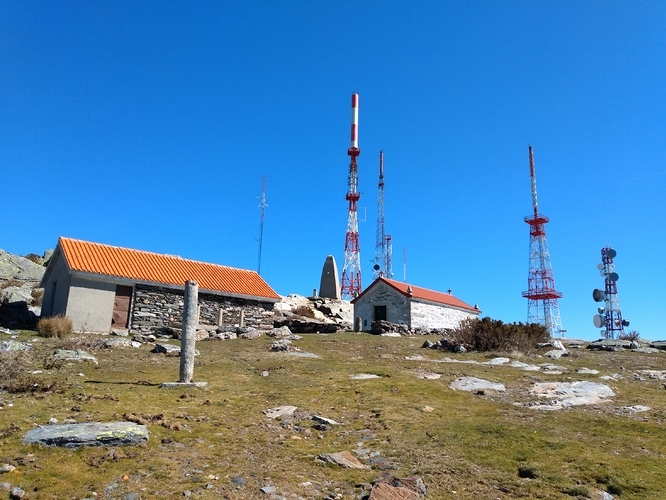 Todays activation on CT/DL-012 concludes my activity this time round in the Porto area. I will return for sure. 17 QSOs this morning, struggling with prop on 40m and 30m was not so good for EU, however ZL1BYZ (Well known ZL Chaser) was worked on 30m CW from DL-012. Several chasers were calling with no reception today at their end unfortunately. Yesterday when I met Paulo CT2IWW when he came up to the summit DL-015 to meet us. 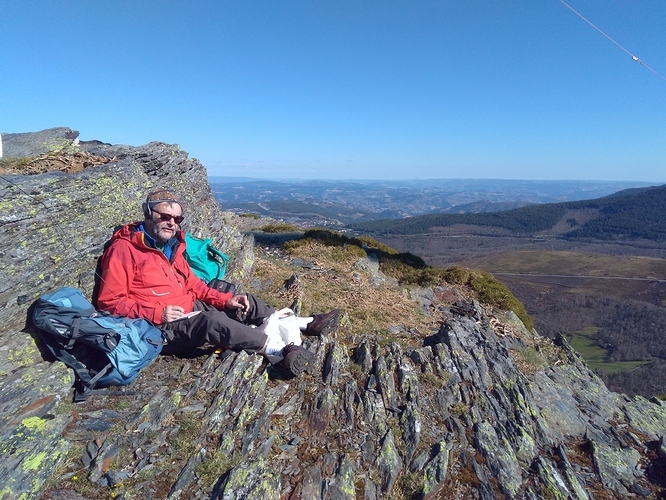 Paulo lives under the hill, so just a few minutes for him to reach us on the summit! Thanks to all chasers. lots of QSB here. Thanks for QSO. Nice pictures. Thank’s for all QSO’s Was a real pleasure. I couldn’t hear you this morning. But what a large amount of chasers. I went to the radio an hour after you went on air and there were still people trying to work you!! Thanks Eric for the ten QSOs from the eleven summits activated last week in Northern Portugal. I think you were one of the most prolific Chasers who helped me qualify the summits - 10 MHz was the band for you. I made my first YouTube SOTA video when I activated the Wind Farm summit of Pena CT/DL-004. The video describes my equipment, antenna and shows views of the area. Thank you, Phil, for the visit, we hope to see you back soon. And thanks for the activation of my “backyard” summit, it is one of the last I need to complete CT/DL. Was happy to catch you every time on 30m ! I’m at a skip to high for 20m and 40m is depending of the time in the day, always hard (not for south CT) ! First call, gotcha, and then straight back Eric. The way it should be. 30m is a brilliant band. GI4ONL accused me of stealing “his frequency” of 10119. I told him it was mine hihi! Indeed, it has the perfect skip for Iberian peninsula to most of central Europe areas. Unfortunately, I couldn’t chase you on any of your CT activations. GI4ONL accused me of stealing “his frequency” of 10119. I told him it was mine hihi!